The Three-Dimensional Video (3DV) contains diverse video streams taken by different cameras around an object. Thence, it is an imperative assignment to fulfill efficient compression to match the future resource limitations, whilst preserving a decisive reception 3DV quality. The efficient 3DV communication over wireless networks has become a recent considerable hot issue due to the restricted resources and the presence of severe channel errors. The high-rate 3DV encoding and transmission over mobile or Internet are vulnerable to packet losses due to the existence of heavy channel losses and limited bandwidth. 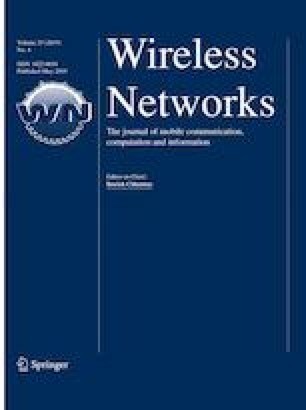 Therefore, this paper presents efficient multi-stage error control algorithms for reliable 3DV transmission over error-prone wireless channels. At the encoder, the error resilience schemes of context adaptive variable length coding, slice structured coding, and explicit flexible macro-block ordering are utilized. At the decoder, a joint approach of a directional interpolation error concealment algorithm and a directional textural motion coherence algorithm is proposed to conceal the corrupted color frames. For the concealment of the lost depth frames, an encoder independent decoder dependent depth-assisted error concealment algorithm is suggested. Moreover, the weighted overlapping block motion and disparity compensation algorithm is exploited to choose the candidate concealment Motion Vectors (MVs) and Disparity Vectors (DVs). Furthermore, an improved recursive Bayesian filtering algorithm is utilized as a refinement stage to smooth the remaining errors in the previously selected candidate MVs and DVs for achieving better 3DV quality. Simulation results on several 3DV sequences show that the proposed algorithms achieve adequate objective and subjective 3DV quality performance at severe packet loss rates compared to the state-of-the-art algorithms. H.264/AVC codec; September 2016. http://iphome.hhi.de/suehring/tml/. WD 4 reference software for multiview video coding (mvc); August 2016. http://wftp3.itu.int/av-arch/jvt-site/2009_01_Geneva/JVT-AD207.zip.